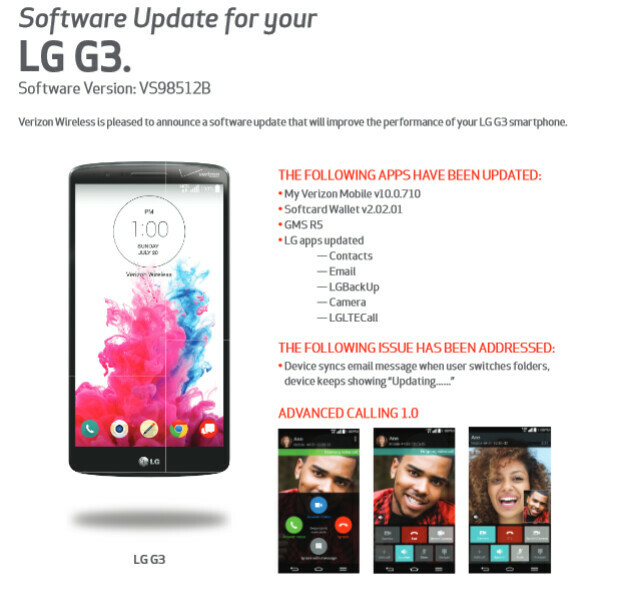 Is that an OTA update on your Verizon branded LG G3? You bet it is! 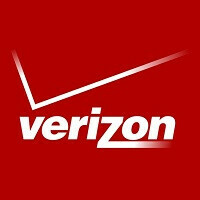 Verizon has sent out software version VS98512B, and with it comes a number of interesting changes. Once you've installed the update, your LG G3 will support Verizon's Advanced Calling 1.0. That will add HD voice, 6-way conference calls, and 1-way/2-way video calling. By the way, 1-way calling is when you can see the other person, but they can't see you. It's video calling for the shy. You'll need to call another Verizon branded phone that supports Advanced Calling 1.0 in order to use these new features. Besides the LG G3, that would require a connection to an LG G2, Apple iPhone 6, Apple iPhone 6 Plus, Samsung Galaxy S5, Motorola DROID MAXX or Motorola DROID Mini. Some native apps get refreshed with this update, including My Verizon Mobile and the Softcard mobile payment service. LG apps like Contacts, Email, LGBackUp, Camera and LGLTECall have all been updated as well. Also, a minor bug involving the switching of email folders has been exterminated. If you're a Big Red customer using the LG G3, be on the lookout for the update notification. As usual, we suggest that you use a Wi-Fi connection when downloading the update. And make sure that your battery is charged to at least 50%. I'm wondering if that list is very current. I've got a Note 4 on Verizon and I'm betting that it does Advance Calling 1.0 I could be wrong, but how could the Galaxy S5 and and other older phones support it and not the Note 4? The note 4 doesn't support it yet, however I'm sure it will soon! S5 and G2 have had this since September. In fact....we have more dropped calls and bugs in QoS now. Disabled mine.